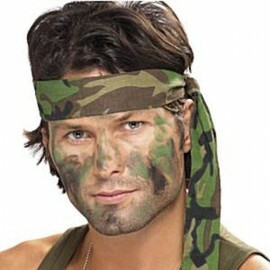 Bandana Camouflage (55cm x 55cm) Each.. 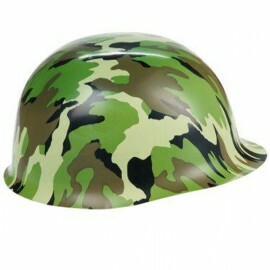 Camouflage Army Hat Plastic (Child to Medium Head Size) Each.. 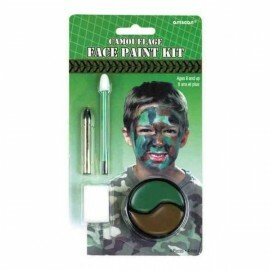 Camouflage Face Paint, Black Crayon & Applicators 1.9g Crayon & 3.9g Face Paint Each.. 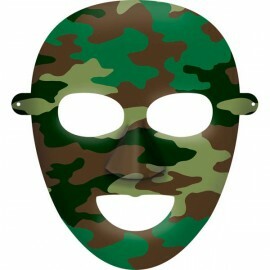 Camouflage Masks Cardboard (16cm x 20cm) Pack of 8..